If you like a break from the heat, you’ll love the idea of searching our swimming pool homes in San Jose to find an awesome pool to cool off in. Not to mention the health benefits of swimming and just being active in a pool. It’s the perfect place for a party at the weekend as well. Don’t forget you can teach your kids how to swim at home, they’ll be a lot safer at the beach or community pool if they can stay afloat. Contact REALTOR® Kathleen Daniels to help find your perfect pool home. Pools in California can usually be used year round. Do you want a pool with a heating system. Are you prepared for annual and monthly maintenance? Start up, close down? Consider the location of your pool for it’s intended use. Will the presence of a pool help or hinder a future sale? How much monetary value does it have for you? Consider having a pool inspection done at the same time as your home inspection. Is the pool chlorine based or salt water based. Learn the differences before buying. 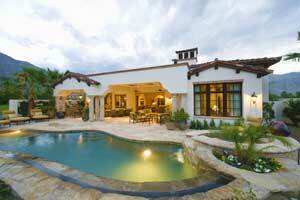 The best inground pools will be the one that has the features you want. You might like hardscaping and landscaping or a hot tab addition. Or you might prefer a longer pool for swimming laps. So much to consider and lots of fun to be had. Just be aware for re-sale not everyone wants a pool. It can be seen as a burden, not a feature. It does take a little longer to sell a pool home in Santa Clara county. If you need help understanding the San Jose real estate market, contact me.